3 Bed Semi-Detached House This spacious 3/4 bedroom semi-detached dormer bungalow is enviably located in a mature and quiet development just a stone's throw from the golf club and Holy Cross National School and is just a short walk into the town centre. The property boasts a private south facing rear garden The ground floor accommodation comprises an entrance hall, sitting room, kitchen, dining room, utility, guest w.c and livingroom/fourth bedroom. The first floor consists of three bedrooms and main bathroom. 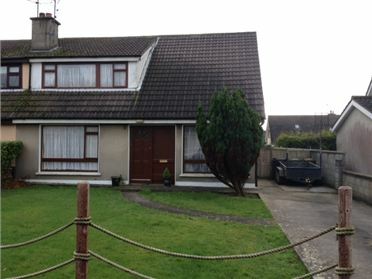 3 Bed House Lovely 3/4 bedroomed home situated on a large corner site in a very popular and convenient residential location in Tramore. Monvoy Valley is within walking distance of shops and schools. Well presented and with good size living accommodation this is a perfect family home. The ground floor accommodation comprises entrance hall, sittingroom, livingroooom/4th bedroom, kitchen/diningroom, utility room and separate w.c. The first floor comprises 3 bedrooms, bathroom and master bedroom en-suite. 3 Bed Detached House This well appointed three bedroom detached residence is conveniently located in a much sought after development. 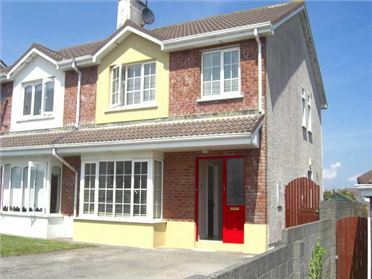 Accommodation on the ground floor comprises of entrance hall, sitting room, kitchen/diner, utility, guest w.c and bedroom. The first floor incorporates two bedrooms, en-suite and bathroom. Offering a totally private rear garden and large side entrance. The property benefits from Gas fired central heating, PVC double glazed windows and PVC facia & soffits. Viewing recommended.